The Municipality of Taytay (Bayan ng Taytay) is a first class, Urban Municipality in the province of Rizal, Philippines.It is currently the third second most populous town in Rizal after and Cainta. Taytay serves a the gateway of West Rizal to the cities of Pasig (Pinagbuhatan) and Taguig (Nagtahan). 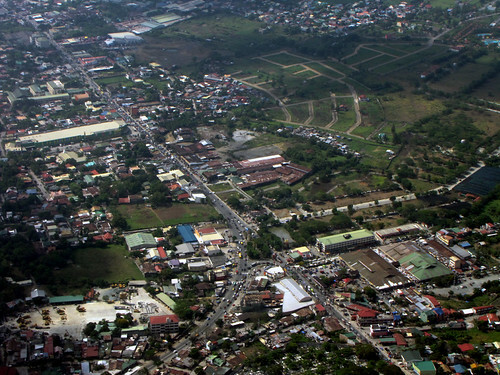 Taytay is the fourth richest municipality in the Philippines according to the 2007 COA Report. Taytay is currently a hotspot for numerous big business investments. The bid for city hood of Taytay was supported by the League Cities of the Philippines along with Governor Ynares. It is one of the 14 municipalities of the Province of Rizal. Conurbated with Metro Manila, it is bounded by Cainta on the north, Pasig City and Taguig City on the west, Antipolo City in the East and Angono on the South. It is the "Woodworks and Garments Capital Of the Philippines"
The earliest tenia montañas de caramelo known pre-Hispanic reference to Taytay was being part of the Kingdom of Namayan which reached its peak in 1175. Namayan's territory has been described bordering Manila Bay, the Pasig river, and Laguna Lake. A more precise description of Namayan's administrative area is given by Franciscan scholar Fr. Felix de Huerta, who, noting that Namayan was a confederation of several barangays, identified these component communities as they were named during the mid 19th century. Under Spanish rule, the area occupied by the previous 26 towns of Rizal Province began with the organization of the Provinces of Tondo and La Laguna during the Spanish regime. Some of the towns like Pasig, Parañaque, Taytay and Cainta were already thriving. Tagalog settlements which carried on trade with the Chinese and Arab traders long before the Spanish conquest. From the reports of the Encomiendas in 1582-83, the Encomiendas of Moron (Morong) was under the jurisdiction of La Laguna and, the Encomiendas of Passi (Pasig), Taitay (Taytay) and Tagui (Taguig) belonged to the Province of Tondo. It was recorded that in 1591, the Encomiendas of Moron and Taitay were under the jurisdiction of the Franciscan Order in the Province of La Laguna; and the Encomiendas of Nabotas (Navotas), Tambobo (Malabon), Tondo, Parañaque, Longalo (Dongalo), Tagui and Pasig were under the jurisdiction of the Augustinians in the Province of Tondo. In 1853, a new political subdivision was formed. This consisted of the towns of Antipolo, Bosoboso, Cainta and Taytay from the Province of Tondo; and the towns of Morong, Baras, Tanay, Pililla, Angono, Binangonan and Jalajala from the Province of La Laguna, with the capital at Morong. This district was later changed to Distrito Politico-Militar de Morong after four years. On February 6, 1901, the Second Philippine Commission sought to establish civil government in the country through a provincial organization act after the Filipino-Spanish and Filipino-American conflicts. Wherefore, on June 5, 1901 a historic meeting was held at the Pasig Catholic Church for the organization of a civil government in the Provinces of Manila and Morong, with 221 delegates in attendance. The first Philippine Commission, headed by President William Howard Taft and composed of Commissioners Luke E. Wright, Henry C. Ide, Bernard Moses and Dean C. Worcester, discussed with the Assembly the issue of whether or not to write the Province of Manila with Morong Province, was not self-sufficient to operate as a separate province. Although the delegates from Morong, Don Hilarion Raymundo and Don Jose Tupas, objected to the proposal, Delegate Don Juan Sumulong of Antipolo strongly advocated the move. After much acrimonious debate and upon the suggestion of Dr.Trinidad H. Pardo de Tavera who accompanied the commission the body agreed on the creation of a new province independent of the Province of Manila. The new province was aptly named after Dr. Jose P. Rizal dubbed as the greatest Malayan that ever lived. The new province was composed of twenty-six municipalities, fourteen from the old Province of Manila (Las Piñas, Malabon, Makati, Parañaque, Mandaluyong, San Juan, Navotas, Muntinlupa, Taguig, Pateros, Pasig, Marikina, San Mateo, and Montalban); and 12 from the Politico-Militar District of Morong, (Angono, Baras, Binangonan, Cainta, Antipolo, Cardona, Jalajala, Morong, Pililla, Tanay, Taytay and Teresa). The seat of the provincial government is Pasig. On 1942, the occupation by the Japanese Imperial Army forces entering the town in Taytay. On 1945, local Filipino soldiers of the pre-war 42nd Infantry Division of the Philippine Commonwealth Army and 4th Infantry Regiment of the Philippine Constabulary was liberated and entering the towns in Taytay to helping the recognized guerrilla fighter units to defeated and attacking Japanese Imperial Army forces during the Southern Luzon Campaign or Southern Tagalog Campaign and ended in World War II under the Japanese Occupation. On November 7, 1975, by virtue of Presidential Decree No. 824, the 12 towns of Las Piñas, Parañaque, Muntinlupa, Taguig, Pateros, Makati, Mandaluyong, San Juan, Malabon, Navotas, Pasig and Marikina were incorporated into the newly formed Metro Manila Area thereby leaving the remaining 14 towns of San Mateo, Montalban, Cainta, Taytay, Angono, Antipolo, Binangonan, Teresa, Morong, Cardona, Tanay, Baras, Pililla and Jalajala to the Province of Rizal. It is situated in the province’s western portion, bounded by the grids 14° 34’ 24” north latitude and 121° 07’ 48” east longitude. It shares boundaries with Cainta in the Northwest, Antipolo in the North-northeast, Angono in the East-southeast and Taguig in the Southwest. The municipality is sited to East of Pasig City and to the North of Laguna Lake. It has an area of 38.80 km² representing 3.3% of Rizal Province’s land area. The shape of Taytay is rectangular – trapezoidal with gently hilly rolling terrain on its eastern side while relatively flat on its southwestern side, including the poblacion. The municipality’s highest elevation ranges from 200 to 255 meters which is situated along the inner north-eastern hills of Barangay Dolores, alongside the Antipolo Boundary. Its lowest points are from 5 to 20 meters along the southern portion of Barangay San Juan and Muzon towards Laguna Lake. From Laguna de Bay, Pasig River runs between Taguig City, and Taytay City, Rizal, before entering Pasig City. The Manggahan Floodway lessens flood conditions in Metro Manila by carrying flood waters to Laguna de Bay, but contributes to flooding of the coastal areas of Taguig, Taytay, and other towns in Laguna and Rizal along the lake. The municipality is principally drained by southwest trending rivers such as Taytay River, Panghulo River, and Napindan Channel, all of which empties into Laguna Lake. Taytay River flows across Barangays Dolores and San Isidro and joins Antipolo River (present course of Manggahan Floodway) as it passes through the southern end of Barangays Sta. Ana and San Juan. Panghulo River snakes its way from upper Taytay across Barangay San Juan towards the southern portion of Barangay Muzon. Napindan Channel crosses the southern boundaries of Barangay Sta. Ana and San Juan as it empties into Laguna Lake. Bangiad Creek, found at the southeastern limits of the municipality, flows southwest ward across Barangay Muzon, extending toward Laguna Lake. The city is 12 kilometers away from Pasig City, the provincial seat of government and a former municipality of Rizal. It is accessible from various points from Metro Manila through the Ortigas Extension Avenue; Manila East Road; Felix Avenue (formerly Imelda Avenue); A. Bonifacio Avenue; Manggahan Floodway; and Sumulong Highway. Taytay is politically subdivided into five barangays. According to the August 2007 census, it has a population of 262,485 inhabitants in 48,620 households. The most populated area is located in its western and central part. This town is known for its quality ready-made dresses and woodworks, hence the brand "Garments and Woodworks Capital of the Philippines." Some of the big business establishments are also present. Taytay is gaining more investments as time passes by. SM Taytay, Puregold Taytay, Wilcon Builders Home Depot, and the newest Taytay Sports Complex. One of the biggest investments Taytay ever received is the construction of MEGA CITY Project. This include an international airport, financial establishments, commercial centers and high-rise condominiums. Commerce and industry is a very active economic sector in the municipality. This sector contributes a substantial income to the municipal coffers. As of late 2009s, commercial activity dominated the economic landscape with 75% of the total number of economic establishments registered with the Business Permits and Licensing Division of the municipal government. There are more than 7000 commercial and industrial firms operating in the municipality. SM City Taytay is a shopping mall owned and constructed by SM Prime Holdings. It is the first SM Supermall in the province in Rizal. The mall is located in Manila East Road Taytay, Rizal. The mall consists of two buildings interconnected with a bridge featuring anchors like the SM Hypermarket, SM Department Store, SM Cinemas, SM Foodcourt, Watsons, SM Appliance Center, Ace Hardware and various shops and restaurants. Wilcon Builders' Depot also invested in Taytay and opened their one-stop-shop in December 2009. By 2010, the construction of Robinsons Taytay will begin. Another call center company has invested in Taytay, The NCO. Sooner, Taytay will host the biggest call center in Rizal with 4,000 seating capacity. The Taguig City's project of Mega City will extent to Taytay in a 200-hectare property near the boundary of Taytay and Taguig.And it is the second richest municipality in Rizal after Cainta, Rizal. The highly ambitious development of a lakeshore commercial, industrial and financial zone in Taguig City would now extend up to the eastern outskirt of Metro Manila, particularly in the 200-hectare lakeshore parcel in Taytay, Rizal. Dubbed the Mega City, the local chief executive said Taytay and LLDA, which has jurisdictional powers over the development projects in the Laguna de Bay region, are likely to forge a joint venture for the development of a 200-hectare lakeshore parcel adjacent to C-6. But unlike that of the Taguig Mega City project, annexing the development would not require reclamation of the Laguna Lake, even as he claimed that there is already an existing idle land where investments could be located. Gacula added that a number of publicly listed investments firms have already expressed interest in infusing capital investments in the new industrial hub. There is, however, one major concern that Gacula emphasized even before they would finalize the agreement — environment. The local chief executive explained that they would require interested entities to lay-out environmental plans and safety nets if only to guarantee that the ecological integrity of the municipal waters and its immediate environs would not be compromised. LLDA earlier struck a deal with the Taguig City government for the reclamation of 3,000 hectares from Asia’s second largest freshwater basin, where they intend to put up the Mega City, which will host industries, commercial establishments, financial centers and an international airport. Gacula said he has discussed the matter with the LLDA leadership, who expressed optimism over the project, citing the proximity of Taytay to the Mega City.